Lord Mahadev is also known as Shiva, Nataraja, Neel Kanth, and by many other names. When we talk about Shiva– the destroyer of evil, we all might have sometime heard about the Jyotirlingas. Lord Shiva is devotionally represented in the form of Jyotirlingas. They symbolise the radiant sign of Supreme God. Legend says that Lord Shiva first visit on this earth took place on the night of Aridra Nakshatra. In scripture, 64 Jyotirlingas have been mentioned, but there are 12 jyotirlingas in India that are considered very auspicious and people of Hindu religion worship them. Here is the name of 12 jyotirlingas and the places where they are located. We find the first jyotirlinga in the Somnath temple of Gujarat which is located in a district named Veraval Kathiawad. This temple is an important pilgrimage temple for Hindus in our country. Legend says Prajapati cursed chandradev (moon) that he will no longer have its radiance. Then, disturbed chandradev came to this place and he started worshipping the Sparsa Linga. Later, Lord Shiva appeared and blessed him to regain his lost radiance. On his request, Lord Shiva resided at this place which later became famous as Somnath. This temple was attacked, destroyed and rebuilt several times but still holds an important place in the Hindu religion. This Jyotirlinga is located on an island on River Narmada named Shivapuri. Omkareshwar is a Sanskrit word that means “Lord of Om sound”. In Hindu scriptures, a war happened between Deva and Danavs, where danavs won. It was a major defeat for devas so they prayed to Lord Shiva. Then, Lord Shiva appeared in the form of Omkareshwar jyotirlinga and helped the devas to win the fight. This temple is located on the banks of the Kshipra River, in the region of Mahakal forest in Ujjain. This Jyotirlinga is an important Hindu pilgrimage site in Central India. According to the Shiv Puran, Mahakaleshwar Temple is recognised as a significant temple by the Hindus because it is believed that this is the place that can be responsible for the liberation of the human race. This is located in the Sahyadri region of Pune, lies on the bank of Bhima river. According to legends, it’s a Symbol of war between Bhima (son of demon kumbhakarna) who tried to took revenge from Lord Vishnu for killing his father kumbhakarna during the battle in his Ram avatar & Lord Shiva. Also popular as Baidyanath Dham or baba Dham, it is in the Deogarh region of Jharkhand. Legend says, the demon king Ravana prayed at this place and requested Lord Mahadev to come to Lanka and also asked Mahadev to make him invincible. This temple is located on an island of Rameshwaram. Legend says this Jyotirlinga is closely associated with the battle of Ramayana and Ram’s victorious return after his victory over the Lanka. One the holiest pilgrimage places of our country, Kedarnath is located in the Himalaya Range on a mountain known as Kedar. Legend says, pleased by the devotion of Nara and Narayana – two avatars of Vishnu, Lord Shiva himself decided to permanently reside in Kedarnath in the form of this Jyotirlinga. 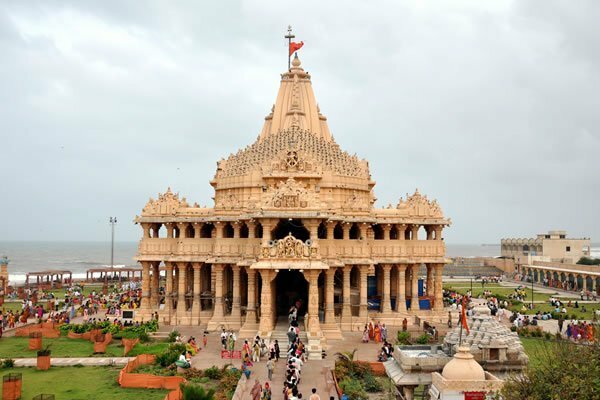 This temple is located on an Island on the coast of Saurashtra in Gujarat. This jyotirlinga symbolises protection from any kind of poison. Shiva Purana mentions that for the purposes of killing a demon named Daruka, the Nageshwar jyotirlinga appeared. This temple is located in the holiest location of the world- Kashi (Holy city of Varanasi ghats). This is considered to be the dearest place of Lord Shiva. People believe that Shiva himself lived here. It had been damaged and rebuilt several times in the history but still, this jyotirlinga holds an important position among all other 11 jyotirlingas. This Jyotirlinga is located in a village of Aurangabad known as Verul. Grishneshwar temple was constructed by Ahilyabai Holkar. The Jyotirlinga of Ghrishneshwar temple is also an important pilgrimage centre and it has many other names like Kusumeswarar, Ghushmeshwar and Grushmeswara. It is located in Nasik, on a mountain named Brahmagiri from where the river Godavari starts to flows. In Shiva Purana, All Gods, Shiva and Gautam Rishi decided to reside here and this place got the name Trimbakeshwar. Here ends our list of 12 Jyotirlingas of India. Try to visit any of these pilgrimages and keep chanting the holy mantra “Om Namah Shivaya”.